Current owner bought the car in 2011.
gearbox and engine overhauled to new condition in 2012-2013, since then only 1000 km driven. The MGA is a sports car produced by MG division of the British Motor Corporation from 1955 to 1962. 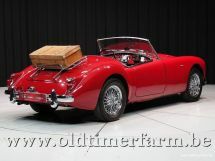 The MGA replaced the older T-type cars and represented a complete styling break from the older vehicles. The car was officially launched at the Frankfurt Motor Show of 1955. It was replaced by the MGB when production ceased in July 1962. Through that time, BMC sold 101,081 units, the vast majority of which were exported with only 5869 cars sold on the home market, the highest export percentage of any British car. 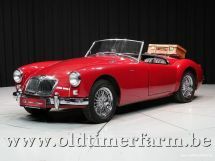 The design dates back to 1952 when MG designer Syd Enever created a streamlined body for George Philips' TD Le Mans car. The problem with this car was the high seating position of the driver because of the limitations of using the TD chassis. A new chassis was designed with the side members further apart and the floor attached to the bottom rather than the top of the frame sections. A prototype was built and shown to the BMC chairman Leonard Lord. Lord turned down the idea of producing the new car as he had just signed a deal with Donald Healey to produce Austin-Healey cars two weeks before. Falling sales of the traditional MG models caused a change of mind and the car, initially to be called the UA-series, was brought back. 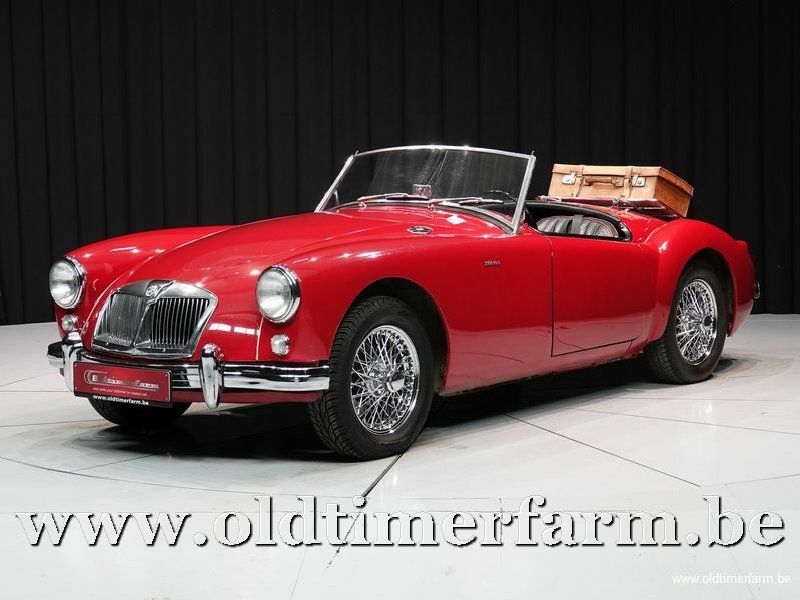 As it was so different from the older MG models it was called the MGA, the "first of a new line" to quote the contemporary advertising. There was also a new engine available so the car did not have the originally intended XPAG unit but was fitted with the BMC corporate B-Series type allowing a lower bonnet line. It was a body-on-frame design and used the straight-4 "B series" engine from the MG Magnette saloon driving the rear wheels through a 4 speed gearbox. Suspension was independent with coil springs and wishbones at the front and a rigid axle with semi-elliptic springs at the rear. Steering was by rack and pinion and was not power assisted. In May 1959 the standard cars also received an updated engine, now at 1588 cc producing 78 bhp (58 kW; 79 PS) . Front discs were fitted, but drums remained in the rear. 31,501 were produced in less than three years. Externally the car is very similar to the 1500 with differences including: Amber or white (depending on market) front turn indicators shared with white parking lamps, separate stop/tail and turn lamps in the rear, and 1600 badging on the boot and the cowl. A number of 1600 De Luxe versions were produced with leftover special wheels and four wheel disc brakes of the departed Twin-Cam, or using complete modified Twincam chassis left redundant by the discontinuance of that model. Seventy roadsters and 12 coupés were built.